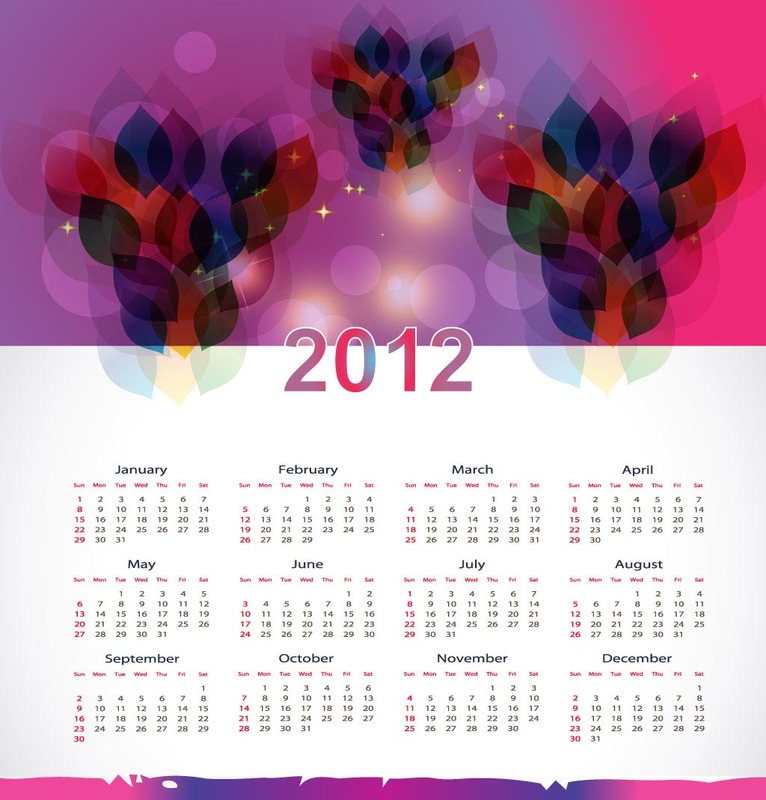 Vector calendar template showing all months and dates with an abstract colorful header design. Bright and eye catching vector graphics to create original calendar layouts. Calendars can be tedious DTP work but if you download this vector for free, the hard work is done for you. Just update year, months and days.